These are Ideal bulbs to provide an infrared basking heat source for use day or night. 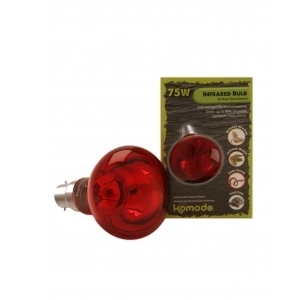 Komodo Nocturnal Red Bulbs are made with an advanced red glass making them ideal for nocturnal viewing. Using a red spot bulb in the habitat at night with the room lights off will give a magic window to observe the activities of nocturnal species in the vivaria.